Candidates tournament 2013 in London was one of the most successful events of last year. With high interest, good organization, and large media coverage, it became the pillar of the first half of the year and was only surpassed in visitors by the World Championship in Chennai. Candidates tournament 2014 is improving last year"s London numbers and registering record breaking levels. The Khanty Mansiysk event increases the unique visitors by 21% up to round 5 and by 25% up to round 10, compared to the same rounds of Candidates 2013. The well updated and active website enhances the pageviews number as well. The highest numbers of visitors come from Germany, followed by USA, India, Russia, Armenia, France, Netherlands, UK, Spain, Norway, Denmark, Italy, Czech Republic, Brazil, and Sweden. 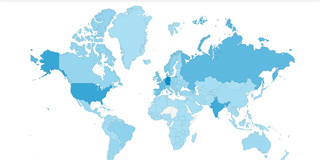 Chess fans from a total of 207 countries and territories have visited the official page. The record breaking interest is a direct result of the global rise in interest in chess, the well updated website, the stable and clear FIDE cycle, the well organized previous editions, and of course the fighting and unpredictable chess games by the participants.